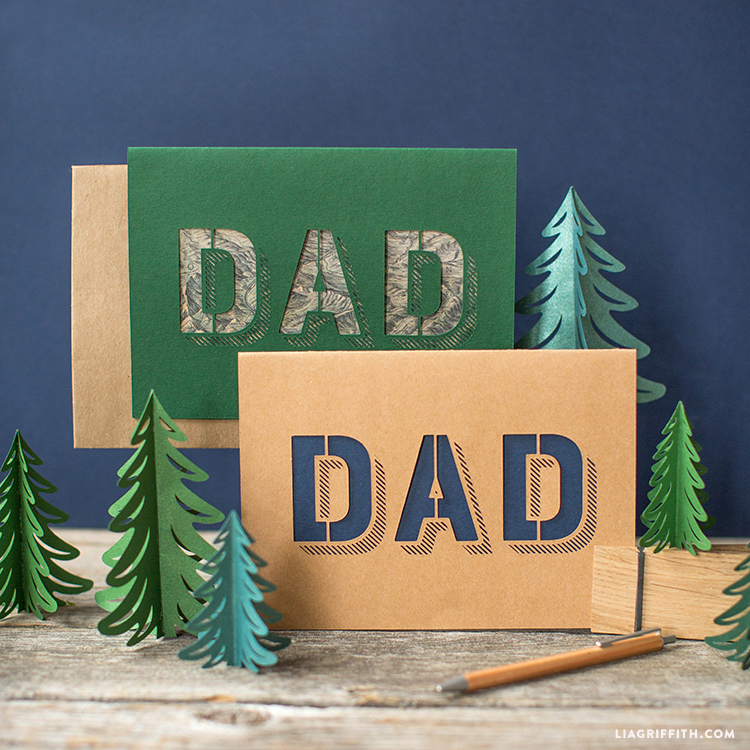 These Father’s Day greeting cards are inspired by the beauty of the great Pacific NW that totally embodies the great outdoors. Who better to explore with than Dad? 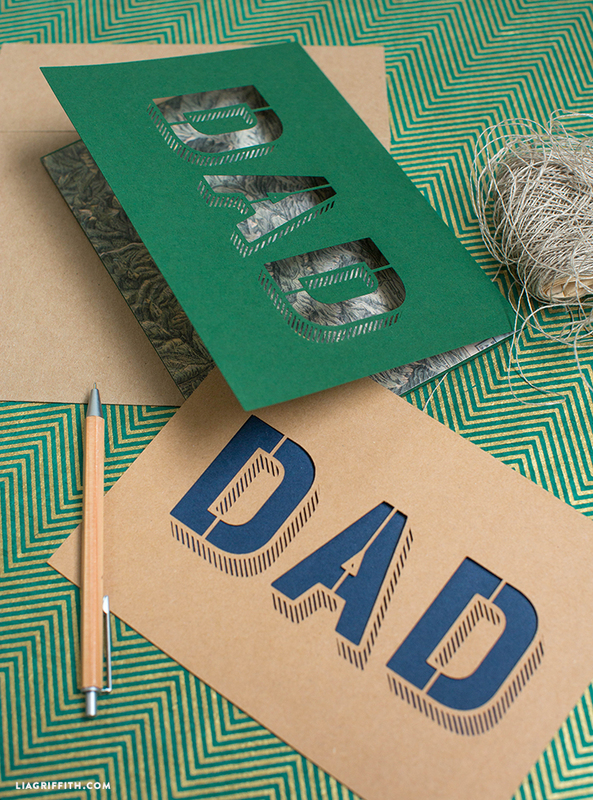 Because of this we have created an entire line of camp-inspired Father’s Day crafts so you can say thank you to your favorite adventurer. For these cards we’ve included cutouts to lay over your favorite background. This project is super simple. Just gather the gear listed below and get started. Because we’re such great adventure buddies, we’ve even included easy-to-follow steps so you don’t get lost along the way. 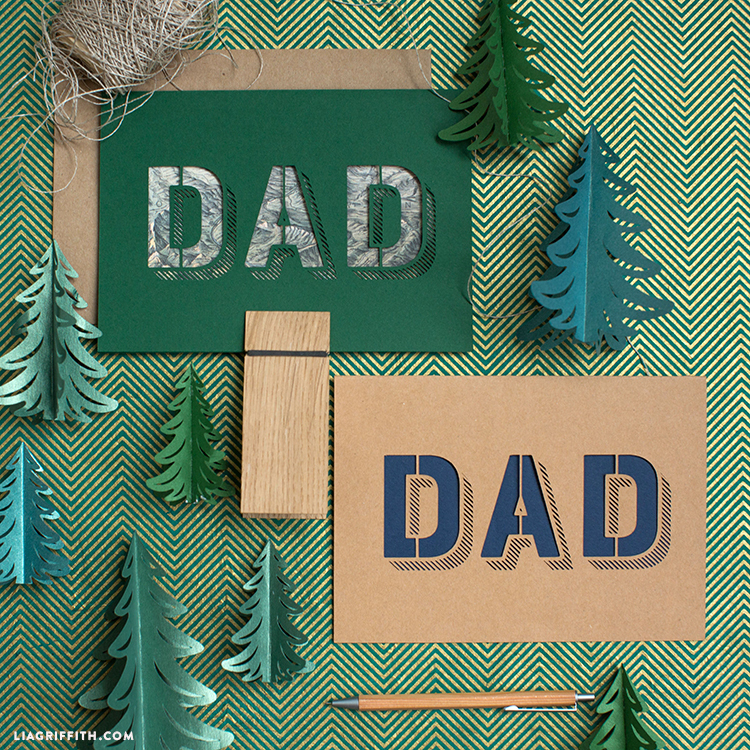 To browse more camp inspired Father’s Day crafts click here. Our downloads include both SVG files and a printable PDF with a kraft background. First download and print/cut the outer layer of the cardstock paper of your choice, and mix it up with the inner layer – pick from Dad’s interests – old maps, illustrations, blueprints, newspaper, book pages, etc. For our cards we used a vintage map of Yellowstone, printed out and cut to size. Attach the paper of your choice to the underside of the front of the card using a glue stick or glue dot roller.